Should you go faux with your houseplants this Winter? 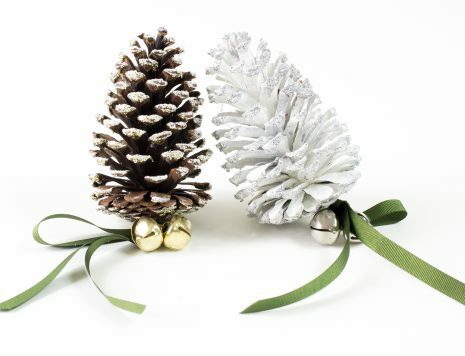 There’s more than meets the eye when it comes to Christmas Wreaths, as trends evolve and creativity is everything. Talk of wreaths generally conjures images of holly entwined into a ring to be hung on the outside door, but as times move forwards so do the possibilities of this must-have decorative Christmas adornment. This year, more natural and free-flowing designs have taken the prime spot for top wreaths, incorporating different textures to add contrast and excitement. 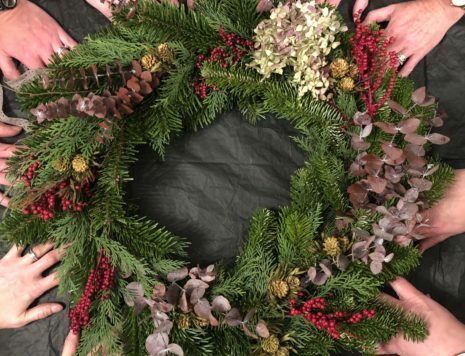 Nature finds it’s way into the home as designers and DIYers forage for interesting and unusual greenery or vines to entwine into beautiful wreaths. Additionally, with fresh green wreaths, not only do you bring the look of nature to your doorstep but also their aromas which bring new senses to the home. Popular cuttings to use are ferns, ivy, box hedge stems, pine boughs, magnolia and, of course, holly. 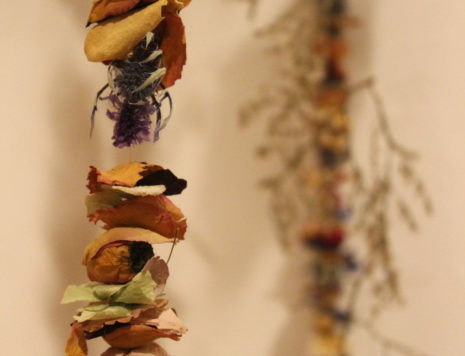 We’ve been following dried flower trends for a while. 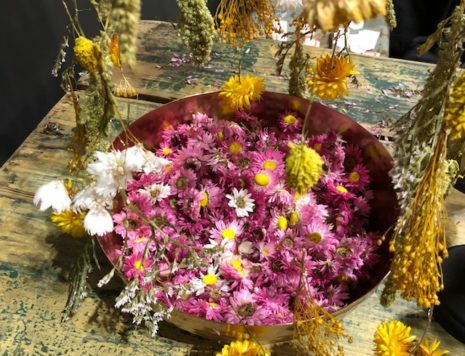 It started with some Instagram posts in late 2016, could it be true, dried flowers were being mentioned again? South Korea and Japan were early adopters, posies and decorations were petite sometimes minute and perfect in every way. Each flower was chosen with extreme care and placed with precision. Other flower trends sprang up including pressing flowers and botanical collections and curios seemed the thing to have, collect and photograph. We were inspired to create some dried flower curtains for our stand at the Spring Fair in Birmingham earlier in the year and were inspired by Rebecca Louise Law. What a great week we had at Spring Fair, even if we all came back exhausted. When you are a small business the preparation for a show of this size really pushes you to the limits – especially as you still have all the normal jobs that still need doing. When we arrived at our stand and started painting and building we looked on in awe as the teams of builders, carpenters and electricians arrived, followed by the decorators and finally on Sunday the salespeople for all the ‘Big’ stands. 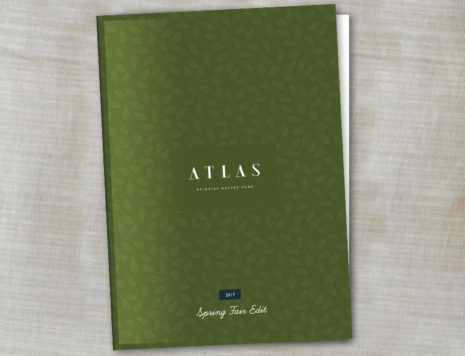 Atlas Flowers Retail are all of these things and every item on our stand was selected, designed, photographed and hung up or displayed – just by us! Gosh where has the time gone! We are always madly busy in the winter months and now we are in the early days of the New Year I’ve suddenly realised that we haven’t posted here for ages. What have we been up to? 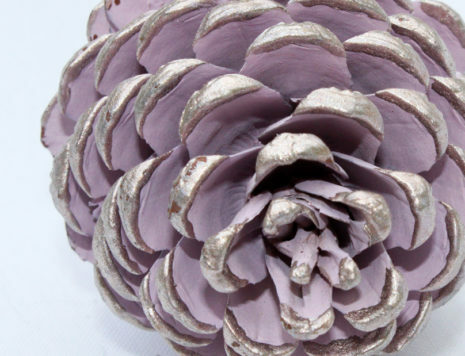 Well we’ve managed to supply around 2.2 million pine cones – maybe even more after a certain point you kind of lose count! We were delighted when Fiona Humberstone agreed to work with us on our re-branding, she was such an inspiration to work with. We learnt so much and are still putting all of her wonderful ideas into action. 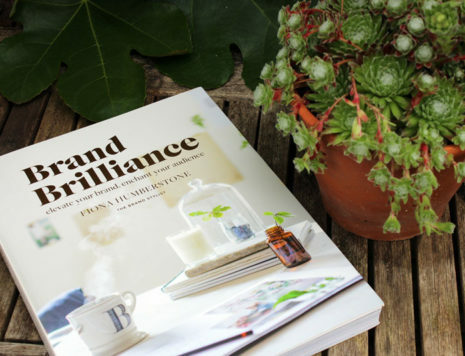 We were then really chuffed to bits to be included in her fantastic book Brand Brilliance. 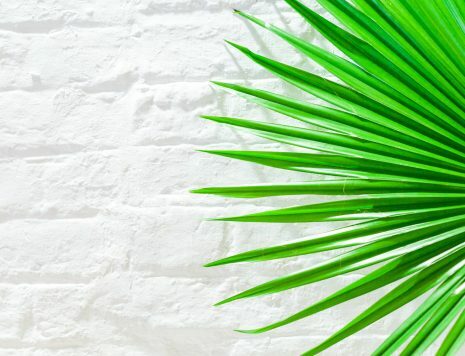 The tropical trend – it’s charmed its way through the world of fashion, interiors and home accessories for the past couple of years, and it seems we still can’t get enough. NEXT TIME, WE’LL SQUEEZE IN MORE SLEEP (AFTER THE SHOW)…. We’ve just about recovered from our first major show – the NEC Spring Fair – and we learnt a LOT. Things like… next time, we’ll leave the plastic sheeting on the carpet until the last minute; a grubby carpet is not a good look. And we won’t keep adding products to the stand (just because we love them) and then panic because we haven’t worked out the quantities. Our brand spanking new brochure for the Spring Fair 2017 is now available! Inside you’ll see a selection of our range, including some of our favourite decorative products, garlands galore, and lots of gorgeously stylish hanging decorations. 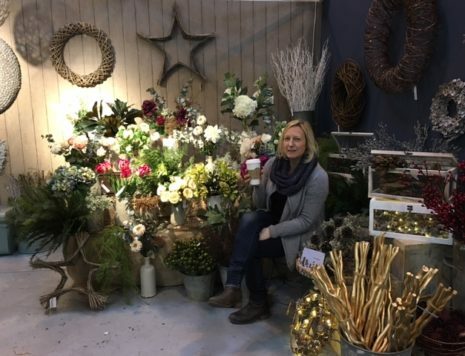 It’s all go at Atlas Flowers Retail HQ (okay, it’s a little frantic), as we prepare for our next big event – Country Homes and Interiors Christmas. Next week we’ll be showcasing our wares at the Four Oaks Trade Show in Cheshire (6th and 7th September). 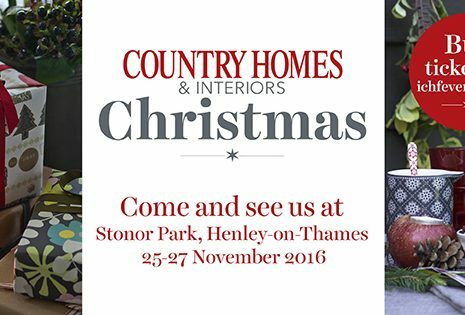 This huge show spans a whopping 23 acres, and includes over 450 exhibitors – you’ll find us on Stand E140. 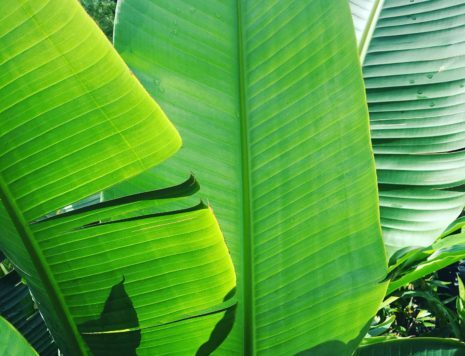 We’re showboating here, but look at how gorgeous our tropical leaves are! Fiona Humberstone, The Brand Stylist, selected a few from our range, for her Colour for Creatives workshop. They were whisked over from the farm in Sri Lanka the day before the workshop – perfectly fresh and absolutely stunning. We’re so chuffed with the photos (taken by Katie Spicer) we had to share! We are passionate about what we do – and we also care about where our products come from. 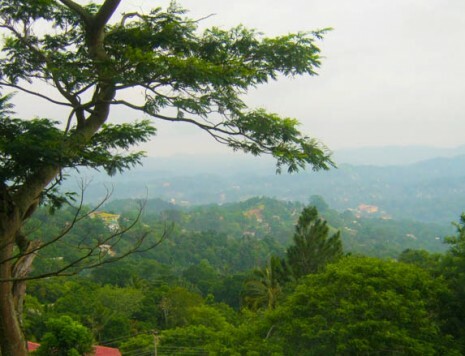 We were the first to import Fairtrade foliage into the UK and have been working with a farm in Sri Lanka since 2006 – this is where many of our beautiful, tropical stems start their journey.